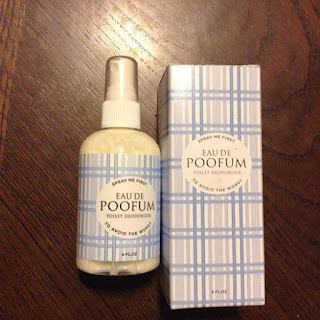 MarksvilleandMe: Eau De Poofum Toilet Deodorizer! Eau De Poofum Toilet Deodorizer! Personally I have never had a problem using someone else's toilet but I know some people won't even go in another bathroom, being able to only go in their own, or those who are have some kind of phobia not to let their significant other know they are human and actually do the bathroom thing. So here you have it folks Eau De Poofum to cover up those smells and actually make it seem like you never really went although you did spend a significant amount of time in the bathroom, they sure won't know by the smell that you went and you might even leave the bathroom fresher then when you first went in. I have to agree that this does have a pleasant smell and is nice to use when you are having company over. A quick spritz of this and your bathroom is smelling fresh and clean. 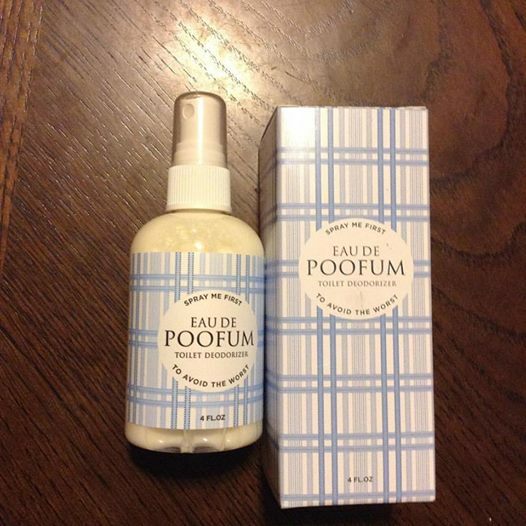 This Eau De Poofum Toilet Deodorizer can be found on Amazon. What Mano & Mano have to say about their product. To leave a bad smell is a pity, When the circumstances are tricky, Simply spritz and go, and no-one will know, And the bowl will be left smelling pretty! To avoid an embarrassing bathroom faux-par, our exquisite blend of Essential Oils will ensure no nasty odors are left behind. Absolutely no harsh chemicals, only natural, neutralising ingredients guaranteed to keep everyone's nose out of your business! Eau De Poofum is 100% American made. Disclosure: MarksvilleandMe received one or more of the products mentioned above as part of a promotion with Tomoson and Mano & Mano.. Regardless, MarksvilleandMe only recommends products or services we use personally and believe will be good for our readers. Some of the links in the article may be “affiliate links.” This means if you click on the link and purchase the item, I will receive compensation. If you would like MarksvilleandMe to review a product or service please contact us at marksvilleandme@gmail.com.